Midsection of old woman making cakes in a kitchen at home. Top view. 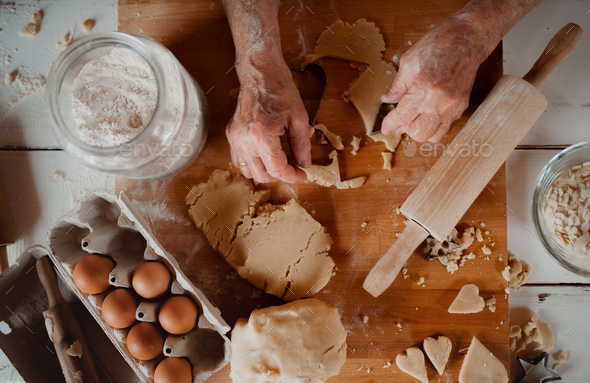 A midsection of old woman making cakes in a kitchen at home. Top view.